This past weekend we escaped to the mountains for a little r+r and, most importantly, to celebrate Ian's birthday. 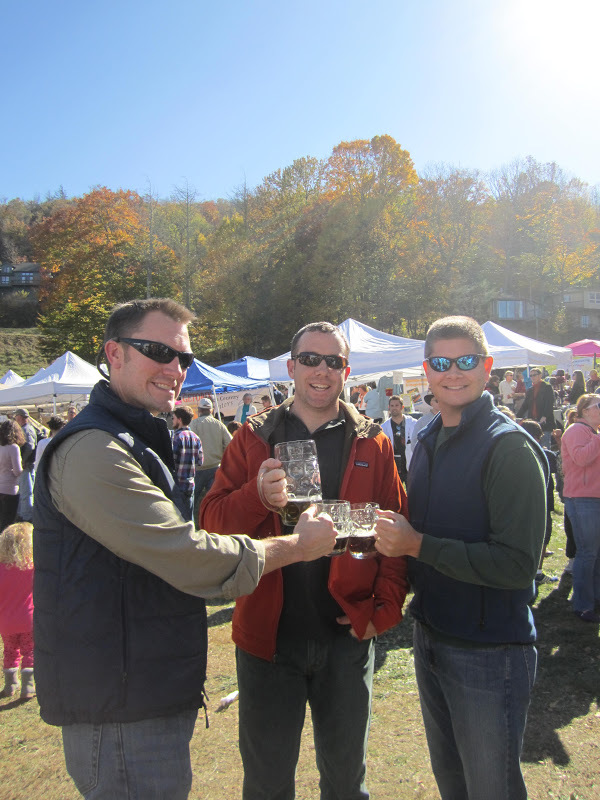 After a hike Saturday morning, we headed to nearby Sugar Mountain for Oktoberfest. This is one of our normal skiing spots. I'm not used to seeing this mountain not covered in snow, but it was a fun change! The festival featured authentic German music ("Oy! Oy! Oy!") and dancing, Spaten on tap, and of course, bratwurst and German potato salad. We struck up a conversation with a man from Germany who has been in the US for not even 10 years. I asked him how we were doing at our little version of Oktoberfest. He said we were definitely doing it justice! I hope we can make it back next year, too. Oh that looks too fun! Happy belated to Ian! Too much fun! Happy birthday to your hubs! That looks like a great weekend! 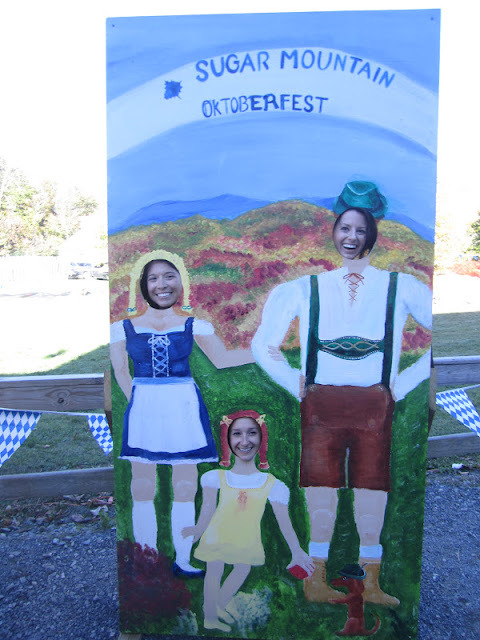 I definitely had no idea they did an Oktoberfest, but it's the perfect spot. I HAVE to check it out next year! Looks like you guys had a lot of fun! I am seriously in love with your outfit. It looks amazing! I'd ask where you got it but that might be excessive since I want every piece! Ha! That looks so fun! You look adorable too. I love Boone. 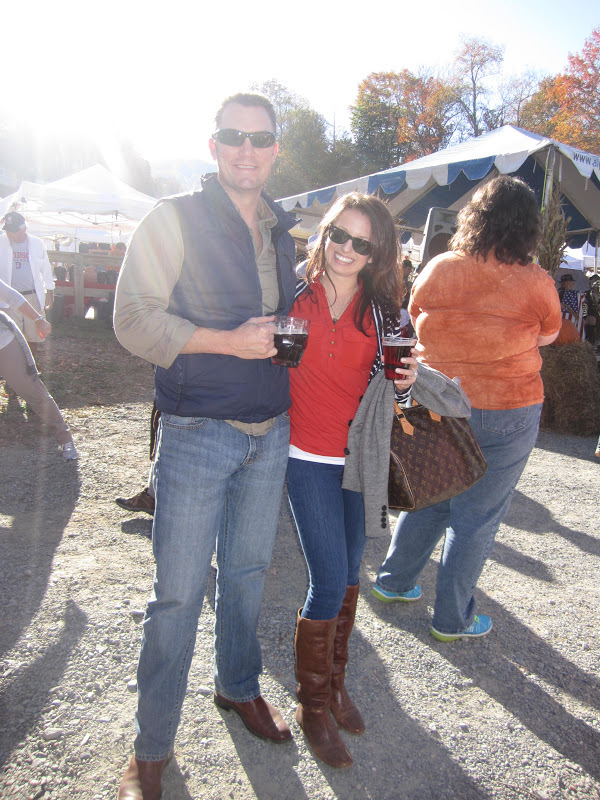 I miss the fall weather of the Carolinas!! What fun! Love the boots - who makes?? I had the same question re: the boots. Pray do tell - who makes them? you look adorable as always april!